Argazzi Art in Lakeville, Connecticut, invites you to experience an unusual and beautifully curated presentation in this year's themed GOLD & BLACK & WHITE Holiday Season Exhibition. Kathy Moss, UNTITLED, Daisy paintings. oil on linen, 72" x 72". This Group Show features the work of several Argazzi Art gallery artists in addition to introducing the viewer to some new talent. The show includes paintings, works on paper, etchings, scultpture, ceramics and objets. Argazzi Art's North Gallery featuring the work of Sabine Friesicke and Jeanne Brennan. Lisa Breznak, Dances for Waning and Waxing, fired clay, paint and 22-karat gold leaf, 14"x 6"x 5". 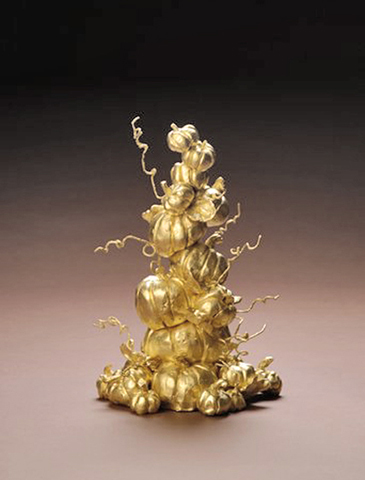 Lisa Breznak, Pompion Prestige, clay, paint, wire and 22-karat gold leaf, 9"x 6"x 6". 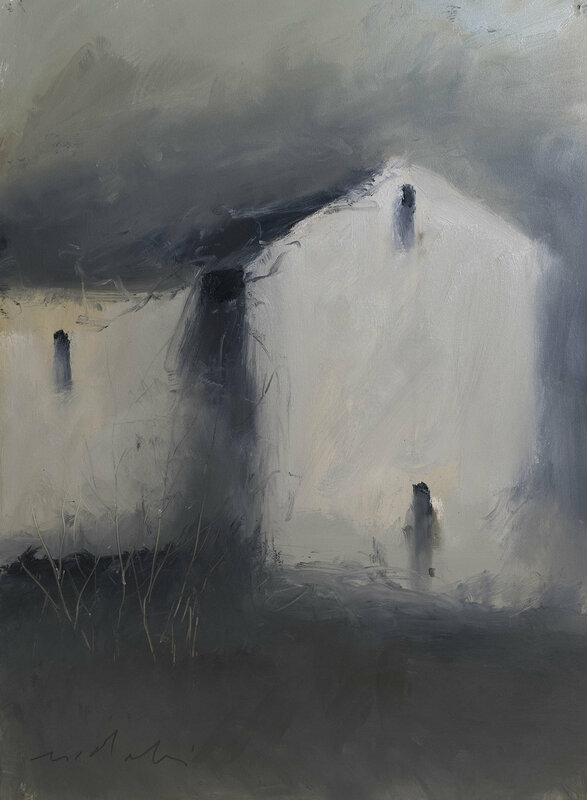 Victor Mirabelli, Brushed By Light, oil on paper, 24" x 38". Michael Kessler, Greywoods I, acrylic on panel, 24″ x 96″; Ann Mallory, Contemplation Form, high-fired ceramic. Sabine Friesicke, Gold Wave, oil on canvas, 64″ x 64″. 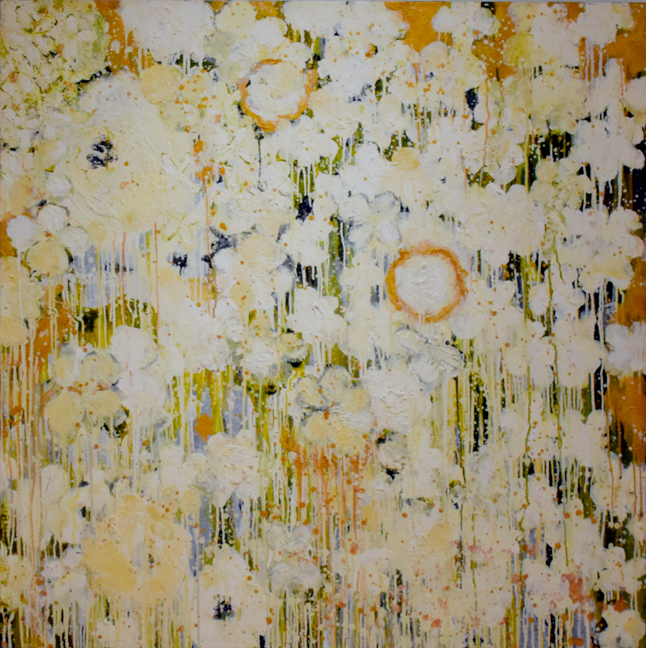 Lenore Gimpert, White on Gold on White, oil on canvas, 48″ x 48″. Photography courtesy of Hammertown’s in-house photographer Marie Aimi and Artform. Argazzi Art invites you to celebrate art at the GOLD & BLACK & WHITE Holiday Season Exhibition, December 9 - January 31, 2018. Opening reception, Saturday, December 9th, 2 - 6pm.